Picking up from where I left off in December, we roll into the 1890s with this little gem, The Dorrington Deed-Box. While it continues the detective-fiction craze of the late Victorian period, Horace Dorrington, of the firm Dorrington and Hicks, is no run-of-the-mill private enquiry agent. Au contraire -- the back-cover blurb refers to him as a "cheerfully unrepentant sociopath," as well as someone who doesn't shy away from a bit of "blackmail, fraud, or cold-blooded murder to make a dishonest penny." 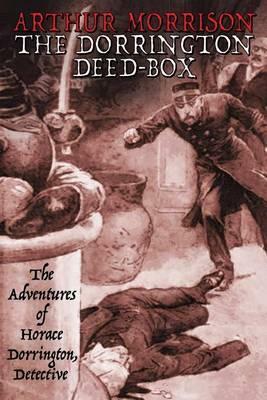 The Dorrington Deed-Box was actually my second choice of stories by Arthur Morrison -- I had thought to read his collection of Martin Hewitt stories, but Hewitt seemed a bit tame compared to Dorrington and I wanted something different than the usual detective fare. Trust me, I got what I asked for in this book. The fun here is not so much in the crime solving but in watching Dorrington slowly ensnaring his victims -- he is the proverbial spider inviting the fly into his carefully-constructed web. 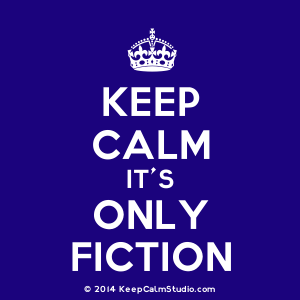 "The Case of the 'Mirror of Portugal"
"The Affair of the 'Avalanche Bicycle and Tyre Co. Limited' "
in which we find the detective involved in crimes ranging from the upper-class, race-track set on down to a moneylender who makes Scrooge seem generous. The Dorrington Deed-Box is not only cleverly constructed, but in the character of Dorrington himself, we find something quite different than the normal run of detectives up to this point in crime-fiction literature and I have to say it was refreshing. My only issue with this book is that there are things in these stories that "skeleton" accounts would not offer, and although Rigby sort of covers that fact by saying he'd picked up things from various people about these cases, it still led me to wonder how he could have constructed conversations and thoughts, etc. In the long run though, it doesn't really matter -- this is my first exposure to a late-Victorian sleazy detective and I thought it was just great.